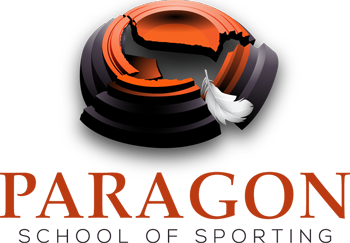 Looking for X's in All the Wrong Places - Paragon School of Sporting Inc. Rated X – Reader discretion is advised. It’s called the Lead-O-Matic, or LOM. The LOM solves all those pesky “forward allowance” or lead formulas in shotgunning. Developed during a late pub dinner with Tom Fiumarello, Bob Lockett, Peter Harris, myself and a few friends, this very ingenious device attaches over the front bead on your shotgun. Patent pending, the LOM virtually eliminates all the guesswork about correctly leading a target, REGARDLESS of target speed, angle or distance. Easily attached and with all the necessary vertical and horizontal adjustments, the LOM guarantees the X! The LOM only costs a very reasonable $19.95 (plus S&H charges) but will only be available while supplies last. Production will be limited, so placing your advance order as early as possible will assure shipment. Don’t wait, order your LOM today! Yeah, you’re right, there is no such thing as a LOM. However, had it been manufactured, would anyone have bought it? In my opinion, golfers have the worst case of trying to solve swing problems with equipment purchases. Every week there are new drivers, wedges, putters and other clubs, not to mention golf balls that promise to fly longer, straighter and navigate over every bunker into the hole all on their own. Absolutely remarkable. And the manufacturers can hardly keep them in stock. Wanna take up tennis? The bad news is, there are only 100 different rackets to choose from. The good news is, each one promises 110 mph serves, deadly returns over the net and a crowd-pleasing performance on your part. Offer ends tomorrow! Which racket do you want? Thinking about taking up cooking? Maybe becoming a repairman or carpenter? Have I got a limited time discount catalog for you. Step into my U-Haul. It seems there’s a pattern here. And it’s all going in the wrong direction. Promises? Yes, by the thousands. Results? Not so much. If we examine the pattern closely, it’s not hard to find the missing ingredient. It’s you. Whatever you are holding in your hands, this will all be up to you. This club, this racket, this gun, the final result will depend totally on you. Totally. It seems the one thing folks, in general, don’t want to do is change. As in change what they like doing. Why? Because what they’re doing usually works. Usually. Sometimes. And that’s comforting. Reassuring. If that’s good enough, who are we to say it’s not? However, if it’s not good enough, what’s the solution? In our case, for instance, a new gun may make our heart beat faster but it won’t fix our swing errors. A 2-hour professional gun fit won’t fix our swing errors either. Neither will changing our ammunition, chokes, shooting glasses or shooting vests. As much as you might like them to, and hope they will, they won’t. The harsh truth is, until the set-up and swing errors are corrected, consistent results are wishful thinking. Again, it all falls on you. Paragon Instructors are keenly aware of what it really takes to move a skill and scores up and teach accordingly. Steady, measurable student improvement is the predictable result. In my 3rd book, Beyond The Target, I suggest that a good confirmation is every bit as valuable as a revelation. Here’s an example, one I remember in great detail. After 5 or 6 days of miserable weather, the Regional shoot was finally over. It was very late Sunday afternoon and the shooting grounds were empty. Chilled and wet, I sloshed towards my car. Off in the distance, I heard a shot. I stopped and listened. Another shot. After asking the attendant if I could borrow a cart for a few minutes, I searched for the shooting. Closing the distance, I slowed and stopped respectfully about 60 yards away. There stood Jon Kruger along with a trapper sitting behind a Lincoln manual machine. Head down, rain dripping off his hat, Jon was working. Totally focused, he was missing. Then he was hitting. 1 shell, 1 target, his repetition was deliberate and determined. Another shot. 0. Another correction. X. As I watched Jon go through a box of shells, I was admiring a man who genuinely understood what it took to advance, on his way into the Sporting Clays Hall of Fame. To raise your score average by 4 birds or 20, what will it honestly take to move your skill to the next level? Honestly? And, while a competent Instructor can genuinely help, club, racket or gun, skill advancement is “up there” and everyone has to climb. No exceptions. Jon, Pat, Bill, Anthony, Wendell, Diane, Grace, Cory and those who’ve climbed will all tell you so. But Wait! There’s more! For a small, additional handling charge of only $14.95, we’ll include a SECOND Lead-O-Matic! Nahhh – let’s not go there. Those who depend on their equipment are looking for X’s in all the wrong places. If there are no set-up and swing changes made in the shooting box – there can be no consistent increases on the scorecard. Those who make the commitment to seek this consistency and higher scores must first learn, specifically, what does and does not work in the shooting box, and why. Paragon teaches those basics. The honest truth is, once you learn those basics and the methods, it becomes very clear that this is a simple game made hard by too many who pursue it. Cheryl and I, and everyone at Paragon wish you all the best this holiday season. Take Your Best Shot (Book I) SOLD OUT! NEW Take Your Best Shot (Book I) 3rd Edition is a beautiful hardback - is expected to ship January 25, 2019. Take Your Best Shot (Book I) is all about the fundamentals, a requirement for good shooting. This book is used by high school and college shooting teams, recreational and competitive shooters from around the world. Solid, valuable, concise information that has helped thousands of shooters shoot more consistently with higher scores. Daniel Schindler - Thank you!